Plastic injection molding is becoming a very popular technique for manufacturing. It is a highly multifaceted process and the end products are high quality. The automobile industry greatly benefits from plastic injection molding because several parts and components are created from the automotive injection molding. The customers can even design the parts to their liking and have it inserted in their automobile. Plastic injection molding is the best option for manufacturing parts in the automobile industry because it can consistently produce safe products that can be customized while being high quality. Polypropylene(PP): It is used in automotive bumpers, chemical tanks, gas cans and carpet fibers. Polyurethane(PUR): PUR has exceptional properties such as toughness, flexibility, and resistance to abrasion and temperature. Mostly found in elastomeric wheels and tires, automotive suspension bushings, cushions, and hard plastic parts. PolyVinyl-Chloride(PVC): This material is super flexible and flame retardant and is used in automobile instruments panels, sheathing of electrical cables, pipes, and doors. Acrylic(PMMA): A transparent thermoplastic which is used as a lightweight or shatter-resistant alternative to glass in windows, displays, and screens. If you are looking to customize and design a mold or need assistance with choosing the right types of materials, then check out Quality Mold Shop. 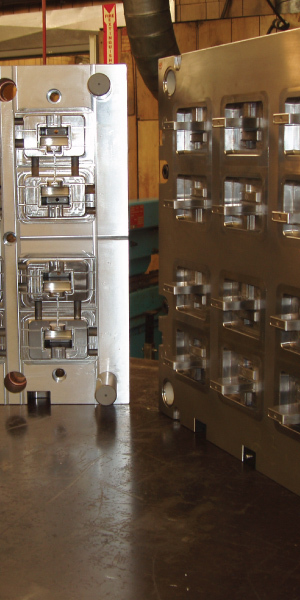 We have been designing, building, and repairing plastic injection molds, since 1976. Our production lines are extremely advanced and very effective. The mold is prepared for production right after the principal testing, which shaves off many weeks. We provide the finest quality of molds while keeping the costs fairly low. Quality Mold Shop’s goal is to further improve automotive plastic injection molding while building long associations with their clients. The shop is a family-owned business with over 40 years of experience. Our business is built on unmatched customer service and a willingness to take on even the most complex jobs. To learn more about what Quality Mold Shop can do for you, contact us today at 931-668-3876 or come visit us at 4247 Smithville Highway, McMinnville, TN 37110. Check out our local McMinnville office. Learn more about auto motive plastics! The design of the product is sent over to the injection mold design department. There, the designers do a complete cost analysis. If the project was approved, then the designers assign certain personnel to review the product information such as the product’s structure, mold structure, cooling system, runner, slag, and venting. Whenever the review is complete, injection mold designers start using 3D drawings and 3D parts to sketch out the layout. After it has been approved, injection mold makers evaluate and order all the materials used to create the mold. Technicians do locksmith work to it. After the heating process, the mold maker must detect its sturdiness. Before putting together the mold, the mold maker needs to complete an inspection. The inspection is to make sure everything is in good condition, cleaned, and goes through an anti-rust treatment. In the last step, the plastic molds are tested out. Once they go through that process, they are stored and used whenever needed. There are many advantages to having plastic injection molding. Saving Manufacturing Cost: The injection molding is an automated process. Majority of the assembling is done with the aid of technology such as machines and robotics. This cuts down on hiring people to work; therefore, cutting down on labor costs. High Efficiency: The injection molds are customized and created specifically for a certain product, so the number of mistakes is cut down. The actual molding process and drying process are super quick, so this allows for high production rate. Smooth and Sleek Appearance: Unlike other materials, plastic injection mold products come out smooth and shiny. They do not require finishing, and because of this, it saves you time and extra work. Learn more about low volume production runs. Plastic injection molding technology consists of feeding plastic material into a heated barrel. The material is mixed and then led into a mold cavity, where it takes shape and hardens into the final product. What you might not know is that plastic injection molding has a bevy of advantages and benefits over comparative plastic processing and manufacturing methods. Plastic injection molding is such a precise method that it can fabricate nearly any type of plastic part. There are certain design restrictions, but the molds that are made allow the finished product to be very precise. This makes it a very widely used production method. With such accuracy and precision, plastic injection molding is used in almost everything you touch in some form or another. When you really stop to think about it, it’s hard to imagine a world without plastic. Plastic is used in such a wide variety of products. Its versatility makes it perfect for anything from simple lunch boxes to more complex things. But before plastic and injection molding were discovered, mankind had to make do with more natural materials, like wood ivory and metal. The rise of plastic injection molding started with Charles Goodyear’s discovery of vulcanization. After this, various contributions to the development of plastic were made by scientists and inventors through the 19th century, making plastic a common material used to mass produce household items by the mid 20th century. While things like cellphones, computers, televisions and even USB memory sticks need a lot of parts made with metals, these items always feature some plastic molded parts too. Phone and computer covers, or often times even screens, are made from injection molded plastic. Medicine is a lot like another branch of technology, and so many things doctors use on a daily basis (even in surgical theaters) are made of plastic. While the engine, doors and wheels of a car aren’t made of plastic, the interior of most vehicles are filled with plastic molded parts. Once again, barely anyone thinks about plastic molded parts used to build, but plastic is used to make things like plumbing pipes and electrical switches, for instance. In the fashion industry, injection molded plastic parts are often used for items such as buttons and buckles. And while polyester material isn’t injection molded, it’s worth mentioning that even a lot of materials used to make garments are made from plastic. In reality, it’s hard to think of an industry that doesn’t use plastic molded items for some purpose. Even CD’s and DVD’s are made from injection molded plastic. And before CD’s and DVD’s cassettes were made from plastic too! Flexibility: Because there’s such a wide variety of different plastics available, injection molding is a good process to produce products with different qualities regarding durability, resistance to temperatures and hardness. Production speed: Plastic injection mold cycle times make it easy to mass produce products and create hundreds of plastic injection molded parts every day. Precision: With a good mold, every plastic injection molded part will be an exact duplicate of the previous. 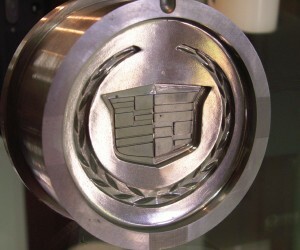 Molds can also be designed to create highly detailed parts that can be easily mass produced. Cost effectiveness: Compared to other production processes, plastic injection molding is by far the most cost effective for mass producing parts. Although other materials and production processes will never become redundant, it’s clear to see why plastic has become one of the most commonly used materials in the 21st century. Plastic injection molding by far outperforms a process like 3D printing for mass producing parts. But even though plastic injection molding may seem easy, it’s not. Producing plastic molded parts requires knowledge about different plastics, their melting points and how the injection molding process works. A high quality plastic injection mold is also an essential part of molding parts that are free of defects, such as flow lines or surface delamination. Because of this, it’s worth investing in a high quality plastic injection mold. Too many plastic injection molders try to save on a mold by importing from abroad, but this is rarely worthwhile. When you buy from an American injection mold manufacturer, you can usually count on better quality and mold design. 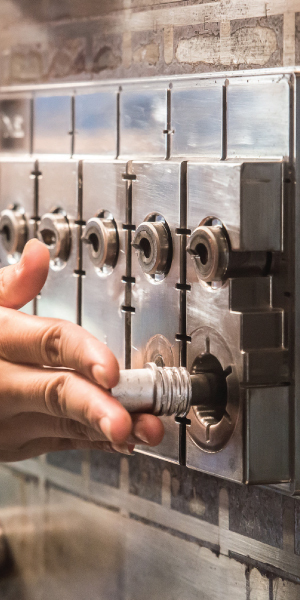 Because your injection mold manufacturer is closer, it’s also easier to arrange for molds to be regularly maintained, so ensuring you get the most out of every mold! Consistency is ideal. Steady wall thicknesses all through your part will give the best stream. Typical wall thickness ought to be between 2-3mm. The least recommended is 1mm and the greatest is 4mm for customary plastic injection molded parts. Smooth trumps sharp. Utilize radii when conceivable and stay away from sharp changes between wall segments. Draft is your “frenemy.” Adding a draft edge to the faces of your part is useful to discharge it from the apparatus, yet it can cause configuration challenges particularly to parts that are meant to fit together. Recommend minimum draft angles are one degree on untextured center and no less than three degrees on textured faces. Keep away from surfaces with zero draft unless it’s vital. In the event that you do require a zero-draft zone to guarantee appropriate part mating and resiliences, attempt to limit it to only a bit of the face, not the entire surface. Less complex is better. Stay away from undermines (territories that can’t be framed by means of the straightforward open/close bearing of a device). When simple won’t work, lifter and slides enable highlights to be formed that are undercuts in the main pull direction. Assuming this is the case, leave no less than 2 to 3 times the width of the component to enable the lifter or slide to movement. Change from thick to thin. Parts will form better if plastic moves through highlights moving from more prominent to less wall thickness beginning from the gate(s) (where the plastic first streams in to fill the part). Rib bases ought to be 60% or less of the wall thickness. Datums define an area. Utilize datums (features that are utilized as reference focuses to characterize each part) to build up part interfaces and interactions to the general framework. Using a datum structure that matches the design intent of the assembly can mean the difference between a product functioning well or not. Cross examination is great. Take DFM (Design for Manufacturing) reports truly since they pass on tool molder’s understanding of the design like ejector pin areas, gate areas and parting line area. Use inspection reports to interrogate the design. Model early and frequently. Current prototyping strategies, including 3D printing takes into account early testing of outline ideas where bits of or potentially the entire part can be molded before building costly injection molding tooling. Injection stretch blow molding consolidates the injection molding and blow molding processes. The plastic is first formed into a strong preform, to make a threaded container neck. Once the preform cools it is encouraged into an extend blow form machine. The preform is then warmed utilizing an infrared radiator and blown into a plastic jug with constrained compacted air. Injection molding and blow molding are two predominant procedures in plastic molding. Items made through these procedures are utilized as a part of an extensive variety of businesses, for example, car, food perp, hardware, medical gear, water system, dental, guns, energy and environment enterprises. Amid the blow molding process, the resin plastic material is molded into an empty tube with one open end called a parison. The parison is squeezed into a cooled metal form and packed air is blown into the parison. At the point when the shaped plastic cools and solidifies, the metal form opens and removes the item. 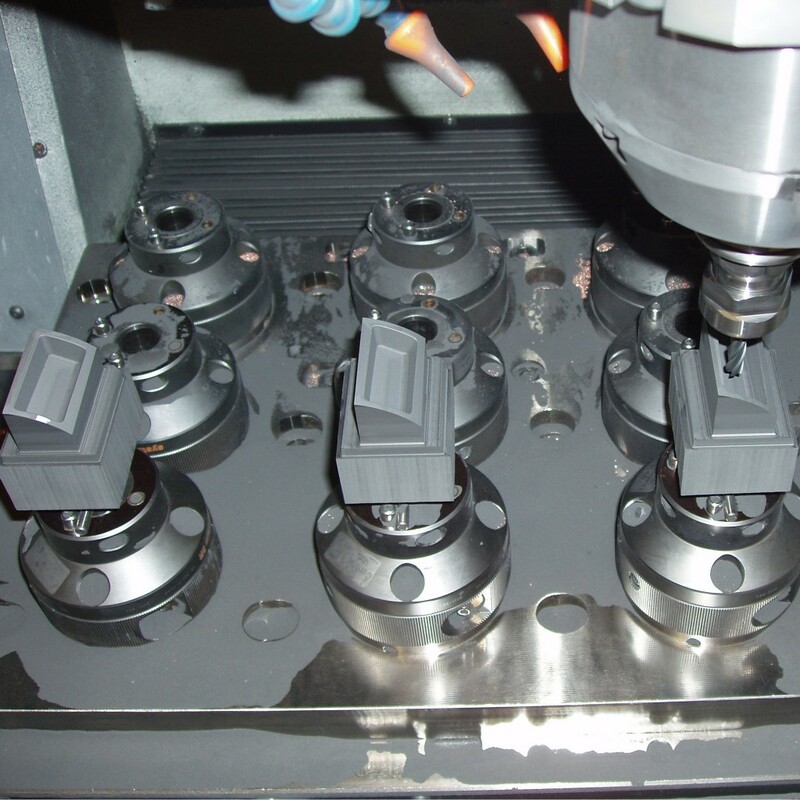 In injection blow molding, a blow or center pole is utilized all through the procedure. To start with a parison is infused into a part form hole around the bar. The parison that is shaped seems to be like a test tube. 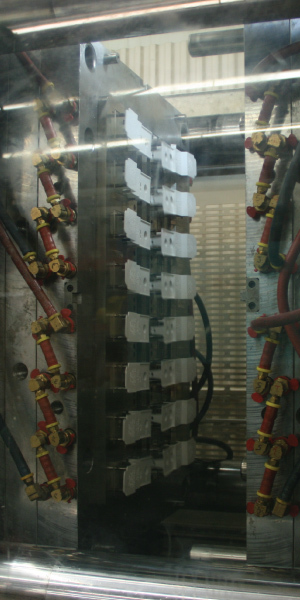 The center bar transfers the parison to the blow mold machine where constrained air makes the last shape. The bar at that point exchanges and expels the completed item from the machine. Extrusion blow molding can be constant or discontinuous. In consistent expulsion blow molding, a parison will be continually moved into the mold and each frame will be cut off with a cutting edge as it forms. Intermittent Extrusion blow molding ousts each new plastic from the metal form when it is cooled and the parison is put into the mold after the previous parison is removed. Extrusion blow molds are for the most part significantly less costly than infusion blow molds and can be created in a considerably shorter timeframe. Extrusion blow molding is suitable for short runs. Injection stretch blow molding consolidates the infusion molding and blow molding procedures. The plastic is first shaped into a strong preform, to make a threaded container neck. Once the preform cools it is put into a stretch blow molding machine. The preform is then warmed utilizing an infrared warmer and blown into a plastic container with constrained packed air. What Molding Processes Does Your Product Require? What sort of assembling process is appropriate for your next venture? Our architects have many years of experience and comprehend what kind of material and form is appropriate for you. Get in touch with us to examine your new plastic design and we will walk you through the assembling procedure that is best for your task needs. Getting a custom plastic part made is no easy task, especially not if you’re planning to have a plastic injection mold made especially for your design. When that’s the case, getting to the point where you can finally start to produce your part will not only be hard work, but it will also be costly. After all plastic injection molds don’t come cheap! So where can you start in the process? One thing that definitely helps is to know what kind of plastic you’ll be using and how that plastic will be applied to the mold. Knowing this can help move the process of designing a mold for your product. Plastic is a very versatile material, and so there’s a large variety of plastics available for you to choose from. Each plastic has its own unique set of advantages and drawbacks, meaning the plastic you use will depend largely on what properties you require for your part to function properly. By doing the necessary research, you’ll be able to find the perfect plastic for you. Before investing in a plastic injection mold to mass produce your product, it’s always best to look into prototyping options. Making a prototype might help you spot possible flaws in your design before it’s too late. By making a prototype, you can get an idea of how the final product will function. You’ll also get a feel for how strong every component (or plastic molded part) in your final product needs to be. 3D printing is an affordable option for prototyping. Although it’s not nearly as versatile as working with injection molded plastic, it can be a reliable way to produce many of the prototype parts you need for your final product design. Once you’re satisfied that your design lives up to your expectation, you’ll want to explore different plastics you can use to manufacture each part. After all, one of the biggest advantages of injection molded plastic over other manufacturing methods is its versatility, especially when it comes to your choice of what material to use. Transparency/translucency: If you need a part that’s transparent or see-through like glass, you’ll immediately eliminate a large amount of plastics that are available for injection molding. Elasticity: While plastic is known for being more elastic than glass and other more organic materials, not all plastics will be a good match for molding parts that have to be bendable. Some plastics are surprisingly brittle, while others are made for strength and durability and purposefully aren’t meant to bend too easily. Durability: Some products are made to last, while others are made for using only once or twice. Durable plastics used in the automotive and technology industries tend to be more expensive than plastics used for disposable goods, so using the toughest plastic for a cheap product usually isn’t a very practical choice. Recycling: If your plastic molded part will be disposable, choosing a plastic that can be recycled easily is definitely recommended. Health safety: Some plastics are known to gradually release toxins. However, the release of these toxins only become a potential health concern if your product will come into direct contact with foods or drinks, like food containers and kitchen equipment. Remember, your part will end up having the same qualities as the plastic you choose to mold it with. If you don’t consider what qualities you want for your final part carefully, you could end up choosing the wrong plastic to mold it with. The way molten plastic will move through your injection molds once you start mass producing the part with a specially designed mold will play a big role in the quality of your part. To ensure there aren’t flow lines or other manufacturing defects in your plastic molded parts, your plastic injection mold manufacturer will design the mold with your specific plastic of choice in mind. Polyethylene terephthalate (PETE/PET): PET is the most widely used plastic in the world. It’s recyclable, shatterproof, versatile and cheap enough to make it a practical choice for even disposable items. 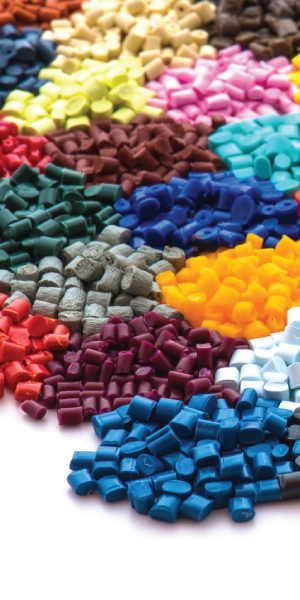 Polyethylene (PE): Once again, we’re looking at a very versatile plastic variety. Polyethylene comes in different varieties. Low density polyethylene (LDPE) is commonly used for things like plastic bags at the grocery store, while high density polyethylene (HDPE) is used for more sturdy items, such as shampoo bottles, food containers and even waste bins. Polyvinyl chloride (PVC): PVC is known for being particularly durable. This makes it a popular choice for products such as plumbing pipes and insulation of electrical wiring. However, while PVC is known for being very durable, it’s not known for being recyclable, This plastic also isn’t considered a good choice for plastic products that will come into foods, as it’s considered to be toxic. Polypropylene (PP): Polypropylene is most popularly used to mold plastic parts with living hinges. Unfortunately, however, polypropylene isn’t a popular plastic for recycling in the US. Polylactic Acid(PLA): Unlike most other plastic varieties, polylactic acid is unique in that it’s produced from biomass rather than petroleum. The major benefit of PLA is that it’s more biodegradable than other options, making it an excellent choice for disposable items. Polycarbonate (PC): Polycarbonate is known for being a strong, transparent plastic. This makes it a popular choice for greenhouses. Once you’re ready to work on creating a plastic injection mold for your product, feel free to call Quality Mold Shop. We specialize in custom made precision molds for almost any industry you can think of. 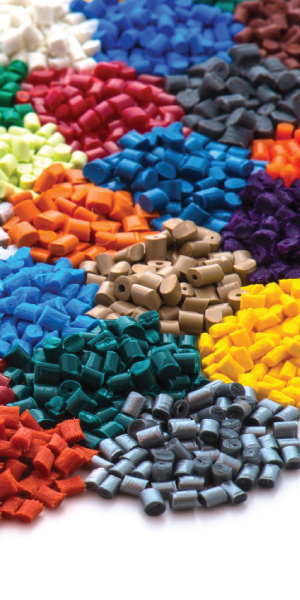 Take a look at common plastics in injection molding. Looking for a plastic molder? Every plastic part requires a particular assembling process which can be quite unique one item to another. Injection molding is utilized to fabricate solid parts while blow forming is utilized to make plastic items with empty regions, for example, jugs and bottles. Injection molding and blow forming are two main procedures in plastic assembling. Items made through these procedures are utilized as a part of an extensive variety of ventures, for example, car, food industries, gadgets, medical equipment, water systems, dental, guns, energy and environment enterprises. To enable you to better comprehend the diverse assembling strategies accessible for your venture, we have put together a two section arrangement of the primary kinds of injection and blow molding methods used by plastics manufacturers. Injection molding is utilized to fabricate higher volume amounts of plastic items extending in estimates from huge parts to little segments requiring smaller scale exactness precision. There are many kinds of assembling strategies ordered under injection molding, for example, thermoplastic injection molding, over molding, insert molding, cold runner molding and hot runner molding. Thermoplastic injection molding utilizes thermoplastic polymer, which means it changes to a fluid state when warmed. Not at all like thermoset plastics that cool into perpetual strong, thermoplastics can be reheated to a liquid after cooling into a solid. Overmolding, or two shot molding, is a procedure that covers an injection mold over another substance, for example, metal, to enhance the execution or strength of an item. An elastic like compound, called thermoplastic elastomer (TPE), is a utilized overmold material. A case of a TPE overmold application is the handles on a toothbrush. 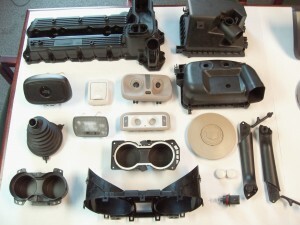 Overmolds can likewise be utilized to seal items with parts produced using a few injection molds. Like overmolding, insert molding is an injection molding process that joins at least two parts into a solitary completed item. Insert injection molding embeds a part into the injection mold and plastic material is filled around the insert. Inserts can add quality to an item and dispose of the requirement for extra parts to decrease the item weight. Cold runner molds utilize a sprue to fill the runners that infuse plastic resin into the mold. In 2 plate molds, the runner framework and parts are appended, and a discharge framework might be utilized to isolate the part from the mold. The cold runner can decrease waste by reusing and regrinding the material, yet this can likewise build the full process duration. Cold runner frameworks can be utilized for a wide assortment of polymers and can take into consideration simple shading changes. Hot runner molds utilize a system to melt softened plastics and after that send the material through a door to fill the mold depression. 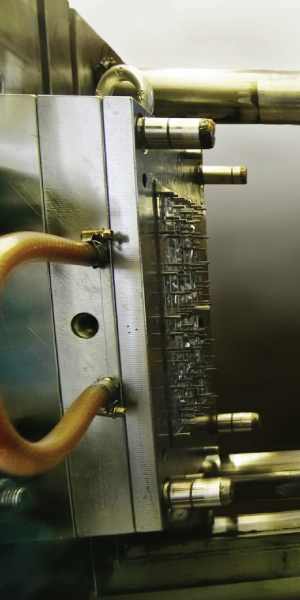 The two principle sorts of hot runner molds are eternally heated and inside heated. The externally warmed molds can be utilized with polymer that is less touchy to warm while inside warmed hot runner molds take into consideration better control of material stream. Since hot runner molding does not require the utilization of runners, potential waste material is reduced and the recycling and regrind and process of virgin plastic does not impact the total run cycle time. In the next part we will go over the blow molding processes in plastic injection molding. If you have any questions feel free to give Quality Mold Shop a call or comment down below. Our engineers have decades of experience and understand what type of material and mold is right for you. Contact us to discuss your new plastic design or product idea today and we will walk you through the manufacturing process that is best for your project needs. Thermoplastic injection molding is the most well-known approach to make parts. Thermoplastics are polymers that can be heated to a liquid repeatedly or relaxed by warming and set by cooling—as a physical change as opposed to a chemical change that happens amid the formation of thermoset materials. It is imperative to recognize what sort of thermoplastic ought to be utilized for the kind of item you need to make. The following are the most widely recognized thermoplastics utilized as a part of injection molding. Acrylonitrile Butadiene Styrene (ABS), it is a dark thermoplastic and amorphous polymer. It is a terpolymer (copolymer comprising of three unmistakable monomers) of Acrylonitrile, Butadiene, and Styrene. Together they make an item that is adaptable and light in weight that can be shaped into numerous things that we use in our regular day to day existences. The benefit of ABS is that an assortment of changes can be had to enhance impact protection, sturdiness, and heat protection. Molding at a high temperature enhances the gleam and heat protection of the item while molding at a low temperature is where the highest impact resistance and strength are obtained. Polyethylene is a thermoplastic polymer with variable crystalline structure and a huge scope of uses relying upon the type. It is a standout amongst the most adaptable and most famous plastics on the planet since the 1950s when it was produced by German and Italian researchers. The two most regular kinds of this plastic are high-thickness polyethylene (HDPE) and low-thickness polyethylene (LDPE). The upsides of polyethylene are abnormal amounts of pliability, rigidity, impact protection, protection from dampness, and recyclability. The higher the thickness of the polyethylene material utilized the more grounded, more unbending, and more heat safe the plastic is. The essential employments of polyethylene are plastic sacks, plastic films, compartments including bottles, and geomembranes. High Impact Polystyrene (HIPS) is a prevalent and intense plastic that is in the Polystyrene family. Polystyrene is weak and can be more impact safe if joined with different materials. It is made from modifying crystal styrene with rubber which helps to give it many levels of impact resistance. It is low cost, has good dimensional stability and rigidity. There are FDA grades available since it is non-toxic and used as containers for many food goods. It is exceptionally flammable, yet there are fire resistant and polished evaluations that are generally utilized for injection molding. This is an extremely regular plastic that is known for its adaptability. PP (polypropylene) is an exceptionally unique plastic and has been intensified for an extensive variety of properties. A few attributes of this plastic are its high liquefying point, high protection toward stress and splitting, magnificent impact quality, and does not break down from responses with water, acids, and cleansers. PP is ok for use as food holders since it doesn’t filter chemicals into nourishment items. It can be generally found in family unit merchandise, for example, utensils, athletic clothing, area rugs, and car parts, for example, auto batteries. Picking the correct material for your application can bring about expanded performance and decreased cost. At Quality Mold Shop, we comprehend that there is no “one size fits all” arrangement with regards to injection molded parts. If you have any inquiries or worries on what kind of plastic you ought to utilize, contact our group of specialists who can help you at all times. Learn the benifits of replacing metals with plastics. Looking for a plastic molder?